We’re having a rare rainy day today. I say rare because so far this year it has not rained or snowed much over here. But today, cats and dogs! The weather is just perfect for relaxing a bit. But, sadly, it’s a regular working day, so before we sign off and go to our jobs, we’d like to share this quick recipe with you, so you too can enjoy this today! 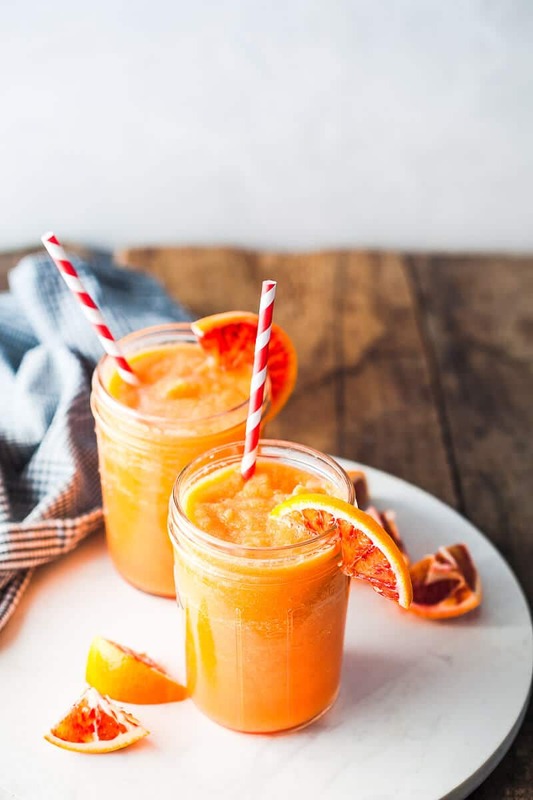 This amazing Apple Carrot Orange Smoothie is a natural remedy that will help you feel better and fight the springtime blues! Ever had the Springtime blues? Friends, it’s real. I get it almost every year (one year particularly bad). Nature is springing and blooming, and I’ll be on the couch, tired AF. It’s starting this year, too, so I am taking action! 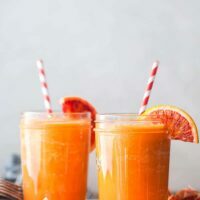 I blended up this super simple Apple Carrot Orange Smoothie, and added some boosting spices as well, such as ginger, turmeric, and cayenne pepper. Have one a day for a week at least, or more if needed. Doctor’s orders! 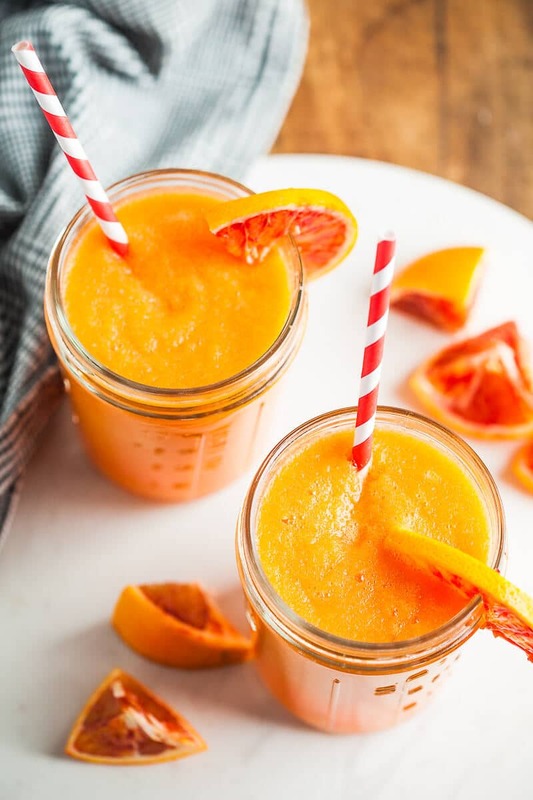 And if you like to change up your smoothie game, head on over here for lots of other easy smoothie recipes! Peel carrots and apples, cut into smaller pieces. Remove seeds from apples. 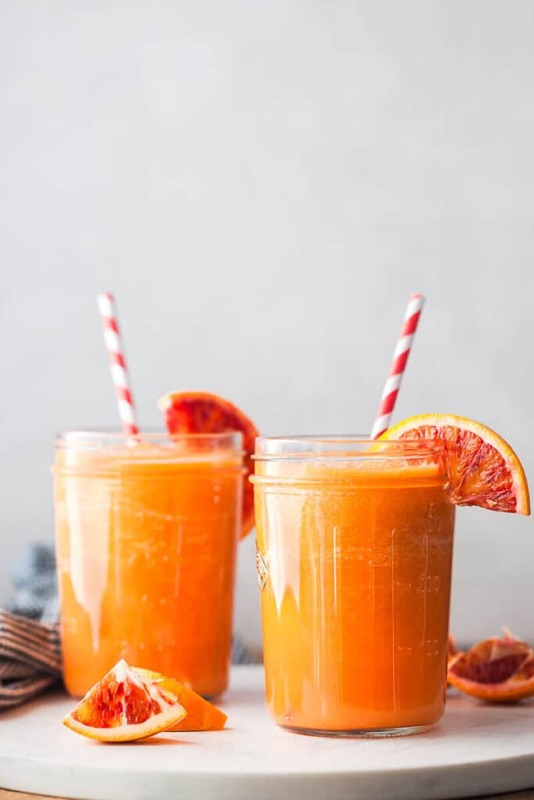 Cut oranges in half and squeeze the juice. 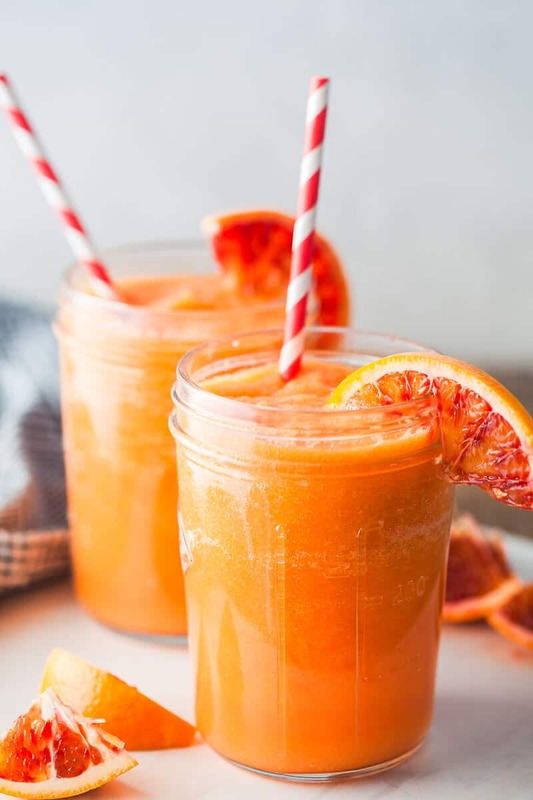 Add carrots and orange juice to blender and blend until smooth. Then, add apples, spices and water as needed and blend again. Serve with some orange slices for decoration.